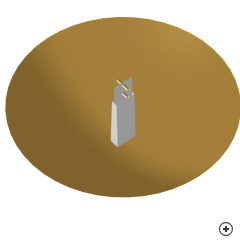 Image of the Reflector with double-dipole splashplate feed. The Parabolic reflector with double-dipole splashplate feed uses the backfire radiation of the feed structure to illuminate the dish. 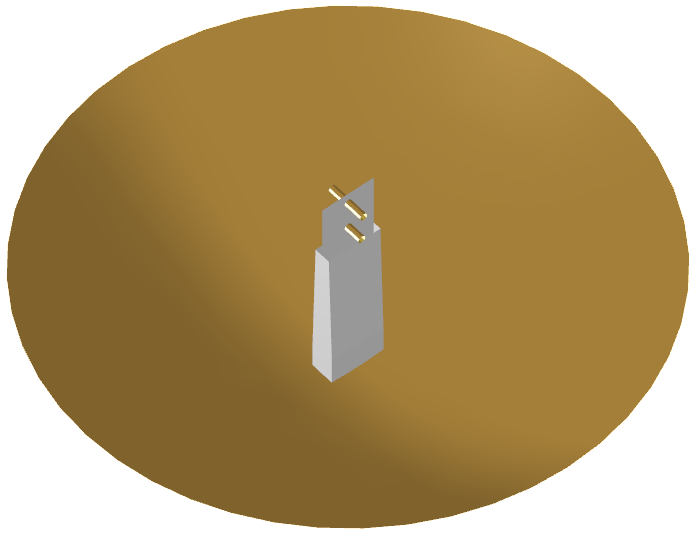 A waveguide section that passes through the centre of the reflector provides support of the feed structure at the focus point. This approach allows excitation of the antenna without introducing additional aperture-blockage, as all feed electronics can be placed behind the reflector. The double-dipole feed comprises two dipoles mounted so that their axes lie on the plane of symmetry of the guide. Through proper spacing and dimensioning of the dipoles, the coupling may be controlled to produce a feed pattern with a 10 dB beamwidth in the region of 180 degrees to illuminate the parabolic reflector.